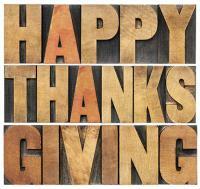 Point Park students are on Thanksgiving break the week of Nov. 25-30, with classes resuming on Monday, Dec. 2. University offices will be closed on Thursday, Nov. 28, and Friday, Nov. 29, for the Thanksgiving holiday, reopening on Monday, Dec. 2. For the Point Park schedule the remainder of the 2013-14 academic year, please see the University's Academic Calendar.